I own an MSI GX70 laptop which offers a free slot for an additional hard disk, so when I got an SSD disk some days ago, I decided to give Linux a try. I already had Win8.1 preinstalled in UEFI mode on my first hard disk, so my goal was to install Gentoo on the second hard drive leaving the first hard drive with win installation untouched and configure both systems, so that I can boot both Gentoo and Windows from GRUB boot menu. followed the instructions given in Gentoo Installation Handbook for amd64 combined with GRUB page in Arch Wiki for EFI/dual-boot configuration. And I was pretty surprised how I managed to install Gentoo for the first time in my life without having a single issue. Here I want to thank every handbook/wiki contributor for such precise but detailed explanations. 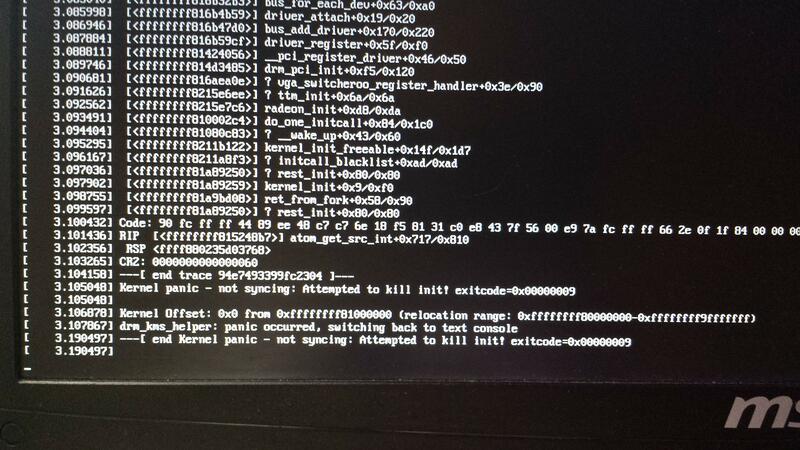 Now, when I boot Gentoo from GRUB menu, I sometimes get an unrecoverable error. This error also occurs almost every time when I try to reboot the running system: screenshot. When I reboot by holding the power button and choose Windows in the GRUB menu, it also fails to boot with the message that the fs_uuid and thus the path to efibootmgfw file were not found. Otherwise, booting Windows from GRUB menu works like a charm. 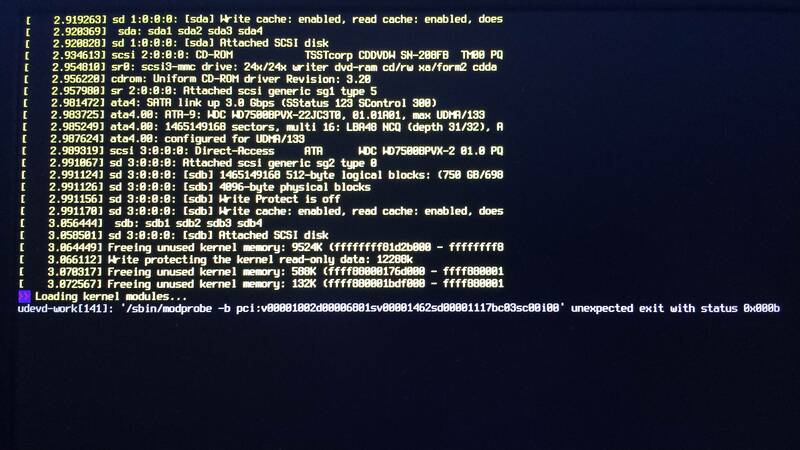 Also, I noticed that when trying to access the system (I use systemrescuecd on an usb stick for that) after the kernel error happens, I get the following error message: screenshot. I'm curious if these two errors may have the same source. I will post some system infos I collected shortly. After some try-and-error attempts. I managed to avoid the kernel panic by turning off the hybrid graphics support in kernel and disabling the AGP support for the weaker GPU. I still don't think this is the solution, though. Also, I'm still experiencing the dual-boot problem with GRUB. I fully described it here, so I would also appreciate any help on this. Thank you in advance! radeon 0000:01:00.0: No VRAM object for PCIE GART. so I guess I have to start with DSDT patching. Thank you for your efforts, mods may close the thread if they want.